AutoShippingPuertoRico is a experienced company with more than 20 years of experience, We are the located in Puerto Rico in ours own office providing safe, fast and low cost transportation across the United State and from/to Puerto Rico. Our price is final, no extra cost guaranted. We will take care of all documentation and we will handle all the paperwork for you. Founded in 1999, Auto Shipping Puerto Rico, is one of the largest car shipping service providers in the U.S..
With more than 150 certified carriers afiliated, ASPR (Auto Shipping Puerto Rico) safely and efficiently transports more than 250 vehicles a month. You name it; they have shipped it, everything from cars and motorcycles to vans, boats, yacht and specialty vehicles via a variety of proven auto shipping methods. ASPR provides vehicle transport services to customers anywhere across the country and from/to Puerto Rico, Hawaii and Guam, including individuals, corporations and anyone that has the need to ship a vehicle. At ASPR, our mission is to make vehicle transporting a positive experience for each customer. When you trust us to ship your car, you receive peace-of-mind, expert advice and superior service. If you need to send your bike whatever the engine and model, we are the right company for this transport. Both within the United States, as to and from Puerto Rico, you can rely transport your motorcycle to our company. We have adequate transportation for this type of motorized vehicles, which require a special shipping deal and because of the sensitivity of the same. Our company carries fleets has prepared for shipping and transporting your bike safely and reliably. Track Bikes, Choppers, Custom, quad, spyder, scooters, antique, etc.., Whatever your bike, we will transport them with the utmost of care, safety and best market price. 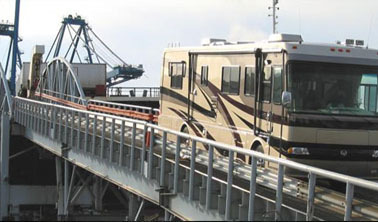 If you need to ship your RV regardless of the size or model, we are the right company for this transport. We transport width and height of the United States, as well as to and from Puerto Rico, you can trust your RV transport to our company. We have adequate transportation for all types of vehicles, which require a special shipping deal and because of their size. 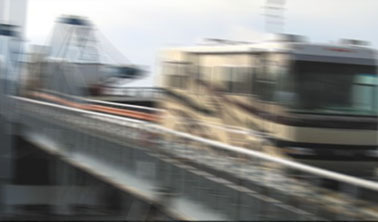 Our company carries fleets has prepared for shipping and transporting all kinds of RV safely and reliably. Class A, Class B, Class C, bus conversions, etc. towable RVs., Whatever their RV, we will transport them with the utmost of care, safety and best market price. If you need to ship your boat, boat, yacht or other boat whatever the size or model, we are the right company for this transport. We transport width and height of the United States, as well as to and from Puerto Rico, you can trust your boat transport to our company. We have adequate transportation for all types of vessels, which require a special shipping deal and because of the sensitivity of the same. Our company carries fleets has prepared for dispatch and transport your yacht or boat safely and reliably. Rowing boats, sailing or motor yachts, boats, etc.., Whatever their boat transported us with the greatest of care, safety and best market price. To ship your vehicle from the U.S. to Puerto Rico, or vice versa, an important factor in the process is that the client knows the procedure, including fees, shipping times, cities where the major ports in both countries, the itinerary, guarantees, etc.. It is for this reason that we provide the following information related to what the ports from where a frequent cars of all customers. Sailing and arriving dates are subjet to change with out notice. Your car will be free from USDA widthing 48hs upon arrival at destination. In addition to the shipment of your vehicle between Puerto Rico and the United States (USA), we also cover routes with other countries, including the Costa Rica, the Caribbean, Hawaii and Guam. Just contact us, to respond to all service information. 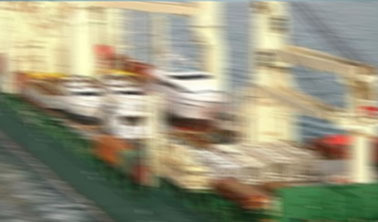 COPYRIGHT © 2011 AutoShippingPuertoRico.com is a Company of Car Freight, INC.